Located at the Finger Lakes Race Track in Farmington, NY (near Rochester, NY). Our volunteers are in love. This mare is simply gorgeous! She has beautiful dapples and just shines from good care and nutrition! 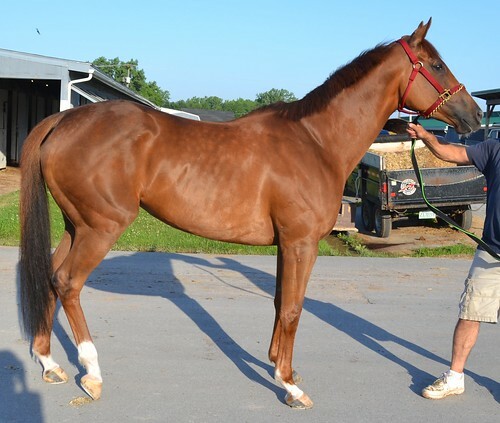 Her trainer states that Epiphany is totally sound with no known former injuries and what appear to be clean legs, however, she is letting her connections know that her heart is no longer in the racing game hasn’t been as successful during the current meet as in past years. 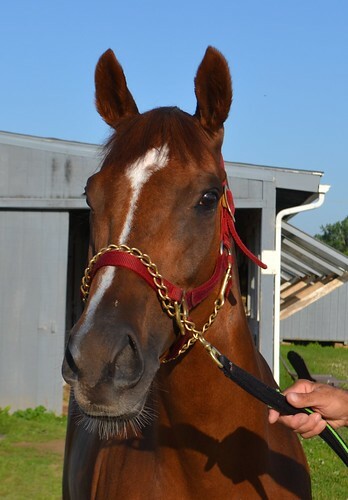 She has been a successful race mare earning over $108,000 in her 36 starts with 9 wins, 9 seconds, and 1 third, proof that she is a hardworking and durable horse with a big heart! 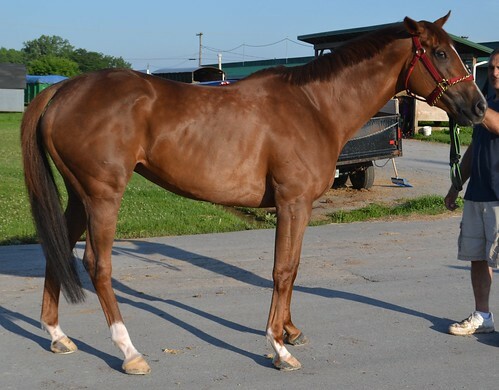 Her trainer reports that Epiphany can be strong for the first couple minutes heading to or on the track, but then gets right down to business and is very good to ride. He emphasized she does nothing naughty and is just strong. He thinks she would be an excellent eventing horse, but whatever discipline you have in mind, she will certainly look pretty doing it! We visited with her in her stall and she was very sweet while being groomed and handled. 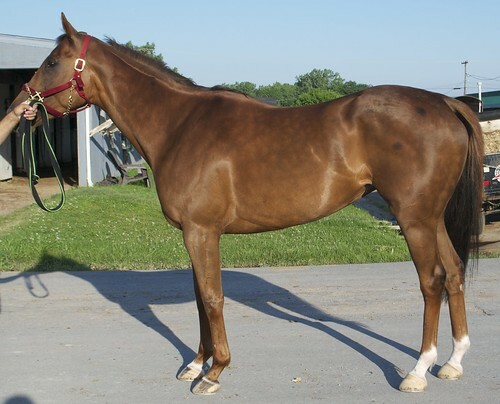 Her trainer reports she has no vices and is good for the vet and farrier, stands well to be groomed and hosed, and cross ties quietly. He reported she loves water and enjoys using the pool at the track, where she is also very well behaved. As an added bonus, he said she is very clean in her stall! 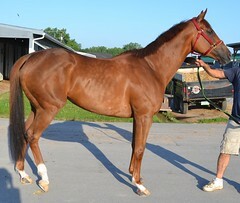 Epiphany is RRP eligible. 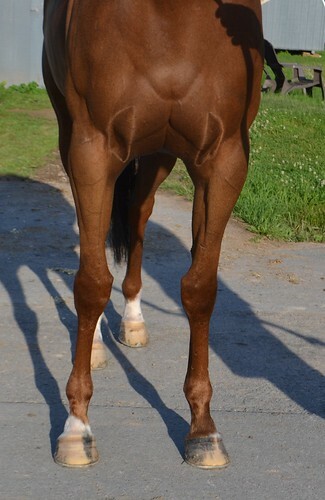 She is by Pollard’s Vision out of a Forest Camp mare.